View the entire season schedule on our Events page. PYO is dedicated to excellence, transformative education, and access for student instrumentalists Training tomorrow’s leaders, the student population of PYO spans across the tri-state area and over 20 counties. 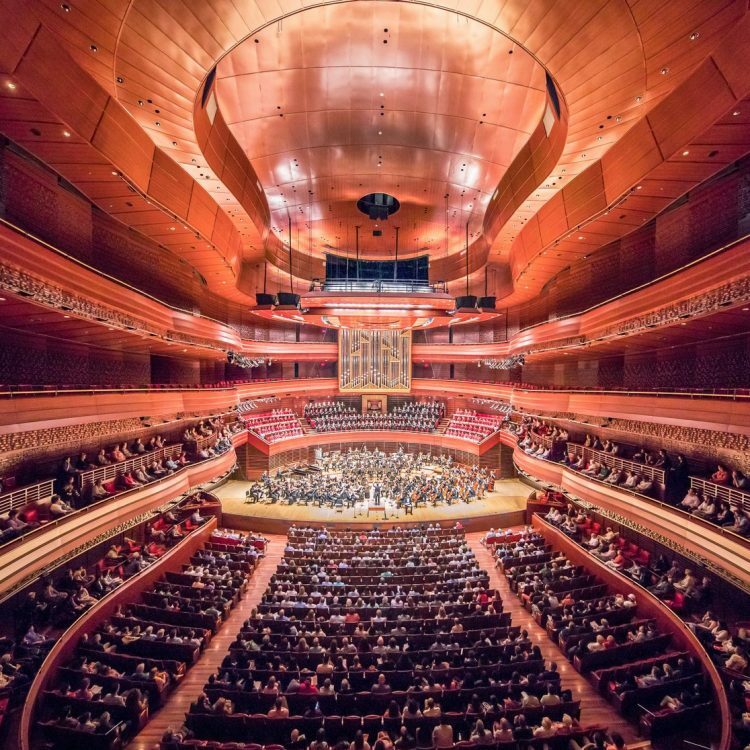 Students go on to excel in many diverse fields, as well as develop performance careers in professional symphony orchestras, with many members of the prestigious Philadelphia Orchestra being PYO alumni. Philadelphia Youth Orchestra, the organization’s flagship ensemble, will present three performances in Verizon Hall at The Kimmel Center featuring classical repertoire hallmarks; such as, Shostakovich’s First Symphony, Hindemith’s Symphonic Metomorphosis, Prokofiev’s Fifth Symphony, and Bartok’s Concerto for Orchestra. Guest artists of national and international acclaim include Debra Lew Harder (Piano), host of WRTI’s Saturday Classical Coffeehouse; David Kim (concertmaster) of The Philadelphia Orchestra; and Peter Richard Conte (organ), Wanamaker Grand Court Organist. Additional highlights include a world premiere by the winner of the Third Annual PYO Composers Competition, as well as a Showcase Concert in Verizon Hall of The Kimmel Center for the Performing Arts which features individual performances of all six program divisions of the Philadelphia Youth Orchestra. PYO is comprised of six independent program ensembles designed to meet specific needs and experience levels of students selected through a competitive audition process. The anchor group is the Philadelphia Youth Orchestra (PYO), conducted by President and Music Director Louis Scaglione, featuring 120 gifted instrumentalists who range in age from 14-21. Young musicians 12-18 years old are featured in PYO’s companion ensemble, the Philadelphia Young Artists Orchestra, which is led by Director and Conductor Maestra Rosalind Erwin, who is Music Director and Conductor of Drexel University Orchestra. Philadelphia Young Musicians Orchestra (PYMO), directed by Maestro Kenneth Bean, is a beginning to intermediate-level full symphonic orchestra that provides most students with their first introduction to large orchestral playing featuring students age 10-17 years old. Bravo Brass, directed by Curtis Institute Dean of Faculty and Students, Paul Bryan, is an all brass ensemble for promising middle and high-school instrumentalists. PRYSM (Philadelphia Region Youth String Music) and PRYSM Young Artists ensembles provide string large ensemble and sectional master class instruction for beginning and intermediate musicians ages 6-14. The director and conductor of PRYSM is Gloria DePasquale, cellist with The Philadelphia Orchestra, and conductor of PRYSM Young Artists is Andrea Weber. Tune Up Philly (TUP) is PYO’s engagement program, directed by Paul Smith, that focuses on creating and inspiring true community by providing children in under-resourced communities with invaluable opportunities to learn and perform a differentiated orchestral music curriculum. For more information, please visit www.pyos.org.